The last few days have been fairly relaxed. 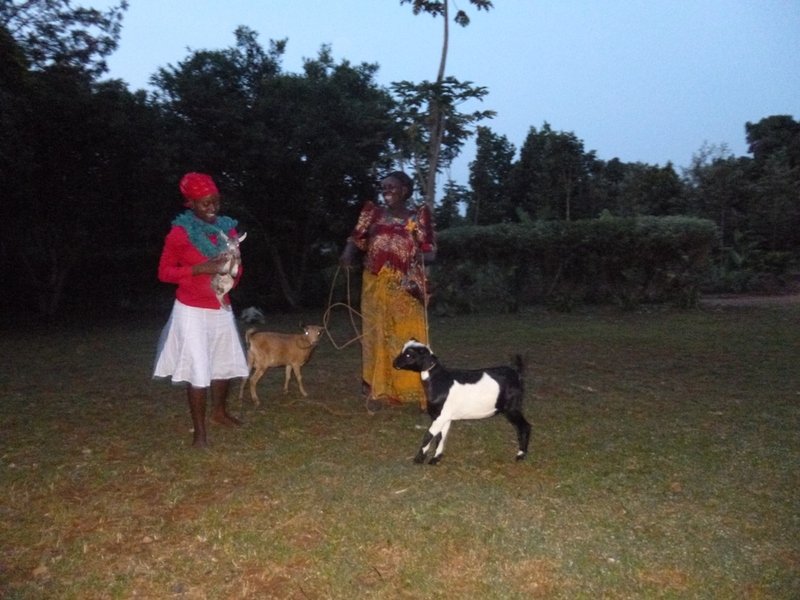 After a packed week in Uganda, I arrived into Tanzania last Tuesday afternoon quite a few days before training begins. I have spent the last days relaxing with some really lovely people, getting to know each other before we all head off to our regions. Yesterday we linked up with two Tanzanian locals who had become friends with the first group of READ volunteers who have been training over the last few days. 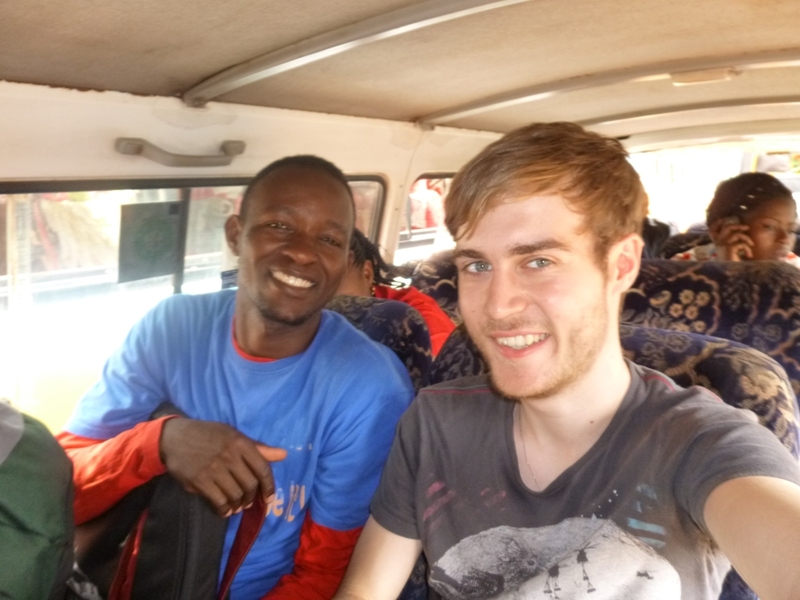 We took a local Tuk-Tuk into the centre of Dar Es Salaam which was the first foray into the central area as we have been staying in a relatively built up area on the fringes of the city. After walking for a very long time, we took a bus for 8p and ended up in a small village on the opposite fringe of the city. We weren’t really sure where we were going; all we knew was that the place was called the “Happy Centre”. 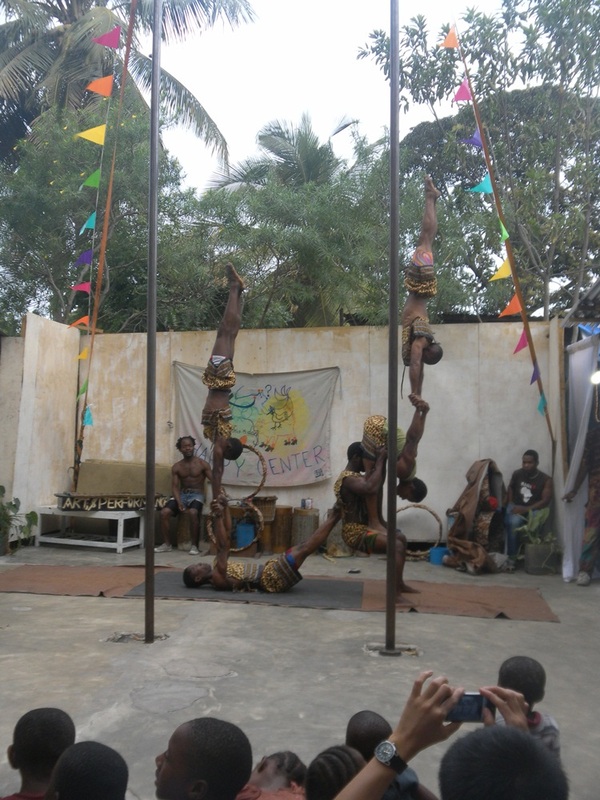 It ended up being a place which had been set up to train young street children and teenagers in the art of drama, music and acrobatics. We were treated to a show firstly from the younger children who were just starting up, as well as a very impressive performance from the men who had ‘graduated’ from the Happy Centre. They showed us backflips, acrobatics and an extremely amazing show on two tall poles. It was extremely inspiring to see people in the local community setting up an initiative to provide an outlet for the gifts and talents of young people who have few opportunities in their lives. The young people are encouraged to go on tour and are given opportunities to make a living for themselves. The unfortunate thing about their situation is that many of the children are not in education because either their parents cannot afford the fees or they are told they have to stay home and work. I only hope for the dreams of the young people, that they can be actualised in a way which is fruitful for them. I hope that they are able to, at some point, have access to an education which is much part of the reason I am in Tanzania in the first place. 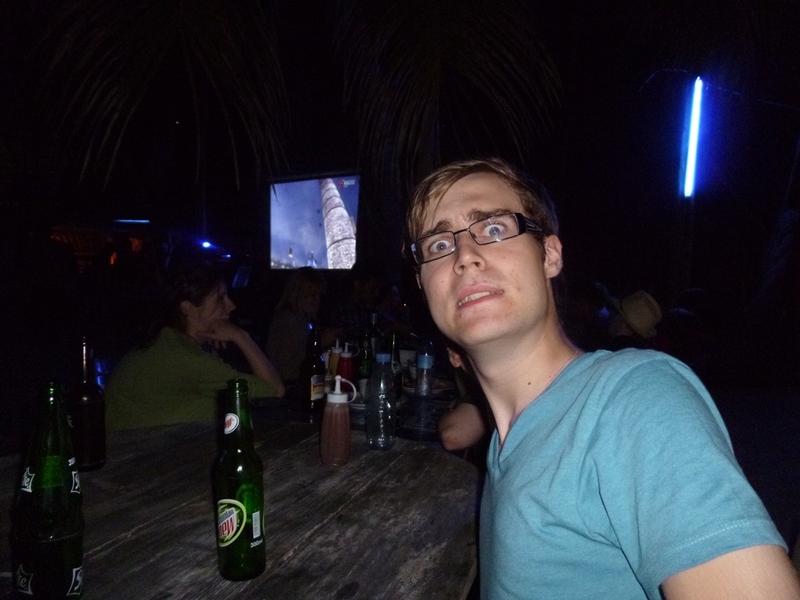 Last night we found ourselves sitting on a beach in Dar Es Salaam watching the opening ceremony to the Olympic games. It was surreal enough being there thinking of how much talk and hype will have been surrounding the presentation let alone the whole bar erupting when the Tanzanian Olympic team joined the parade towards the end of the ceremony. It made me wonder how many young people will be given an opportunity to perform in the games and how many will train and never get there. It made me smile to see there were 7 people representing Liberia and quite a large team representing the Philippines, places which I have huge affection for. Yet, I am left wondering how many were given the chance of an education and how many athletes in developing countries have missed out on joining their team and still haven’t had an education. It made me realise the importance of providing time and effort using our own gifts to help those who don’t have anything. I have never considered the goals of READ in this way before, and I have a refreshed motivation for providing the resources we have collected to provide a necessity for young people, so they have the freedom to practice their sporting, or musical, or theatrical ambitions and achieve a well-rounded experience so that they can truly live their lives to the full. 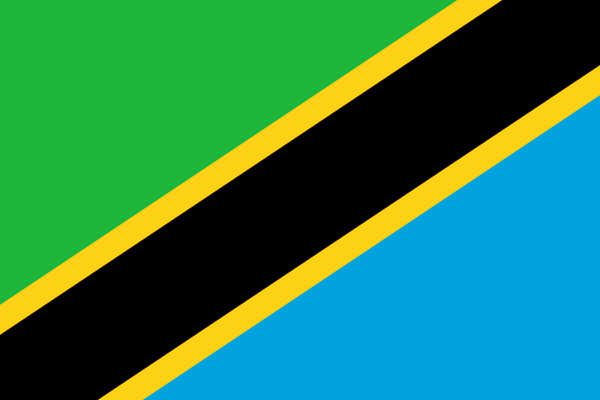 We begin training tomorrow morning (Sunday 29th) before myself, Chami and Yemi head to Tabora in Western Tanzania for the beginning of the project. I don’t know how I can quite put into words what has happened in the last 24 hours, but I will try and paint a picture of the events as best as I can remember them. We left Masaka yesterday morning for a bus ride to Kampala, where we were to catch another bus onwards to a little outside of Jinja, a town which has the beginnings of the River Nile. We were heading to stay with Robert’s parents and family for the weekend; they live in a remote village which takes some getting to, but the estimated journey time was around 4 hours, so not too bad in the scheme of things. 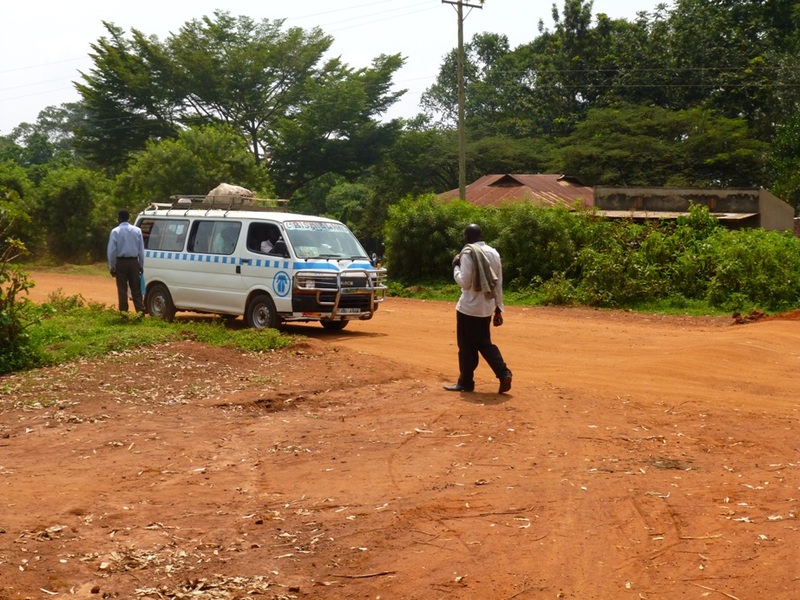 Everything was going according to plan when we boarded the packed, but moderately sized mini-bus and arrived in Kampala around two and a half hours later. Myself, Robert and his friend Teddy, decided to grab something to eat (fried chicken, chips and a Coke!) before we left Kampala as it was around a further hour to an hour and a half until we reached our destination. We then navigated to the Old Park in the boiling, bustling city where we were to board our second bus. 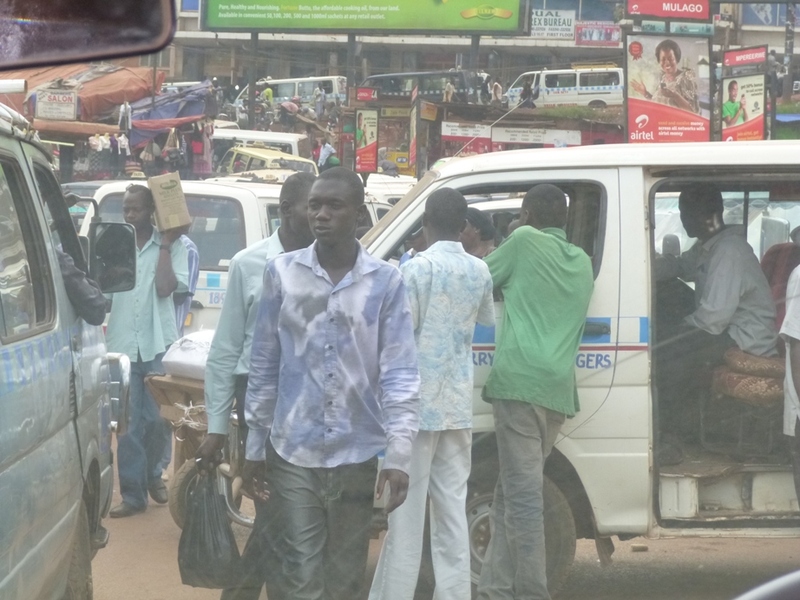 We dodged between market traders, Boda Boda motorcycles and other pedestrians who all had somewhere they needed to be. In Uganda there are no set bus times, they simply sit in the station park until they are all full up and then depart. So we climbed aboard a cramped minibus, but as the first ones on we had to wait around an hour before we finally left the station. This might not have been so bad if we were sat in Haymarket Bus Station in Newcastle, but in the sweating conditions, it was hardly the most comfortable of hours I’ve ever spent. Eventually at around 1:50pm, the bus pulled away – although I’m not quite sure how it made it out of the park as it was positioned between about six other buses all loading passengers. But it made it, by some miracle. The first 45 minutes of the journey was quite pleasant; even in spite of the fact my feet were burning due to the fact that they were sat directly on the metal shell of the vehicle, directly above the engine. Coming to Africa, I was expecting the odd bumpy road. I was even fully prepared to be solely transported on them. But nothing could prepare me for the driving on the road between Kampala and Jinja. We were driving at a snail’s pace to avoid the natural speed bumps and potholes of the dusty roads as well as ducking and diving on and off the parts of the road that were tarmacked much to the curiosity of the other passengers. I began to grow fearful when every time we veered off the tarmac the bus seemed to tip at a 45 degree angle to the side of the road, and knowing we were carrying a heavy load strapped to the top of the van I couldn’t help but instinctively lean to the right whenever this happened as if my own small body weight shifting would counter the weight on the top of the vehicle. My nerves weren’t settled when the bus stalled going back up onto the tarmac or even over potholes in the road. The defining moment of the nightmare journey was when it started to lightly rain. The roads here, if not tarmacked, consist of a very thick red dust and the downpour of even a little rain was enough to turn the dust into mulch. I think you can imagine what happened… the driver turned into the mulch and we swerved first 90 degrees left, and then 90 degrees right. My heart on my mouth, I turned to Robert and asked (viz. pleaded) how much longer. He assured me that everything would be fine, and we would arrive soon. Of course we didn’t arrive until about 5pm, almost three hours after setting off. This was mainly due to the slow pace because of the state of the roads. I stumbled off the bus when we arrived at the destination and met one of Robert’s other 11 siblings, John, 18, who is about to enter the seminary – the second brother in the family to do so. He had brought his motorbike so that Robert could ride me back to his family home. Sitting on the back of the bike, still shaking from the bus ride, I began to take in my surroundings. We were completely in the middle of nowhere. We drove along a small main road, branching into a smaller road, branching into yet another small road, akin to a country lane in the middle of the Scottish highlands. 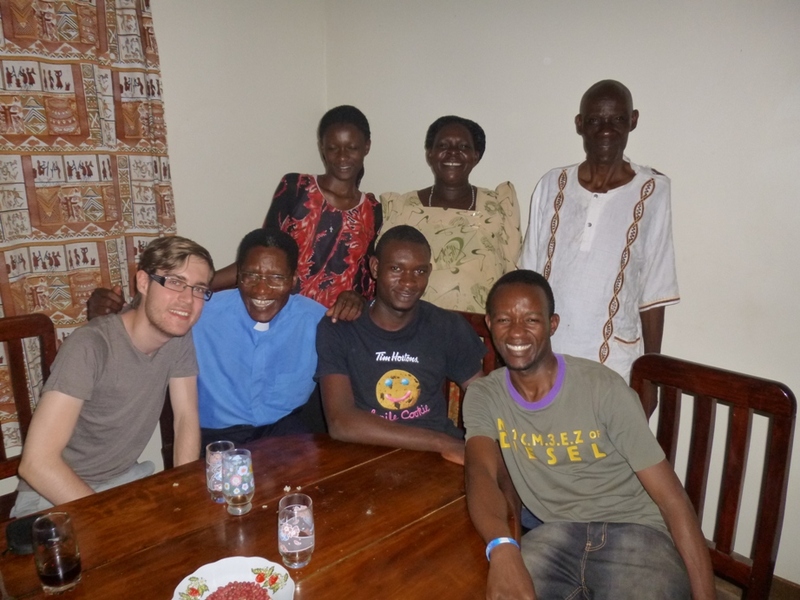 I began to appreciate once again the reason why I was in Uganda in the first place; the pilgrimage to visit the family of a good friend who I have heard a lot about over the last couple of years. My emotions were overflowing and as we drove past the mud huts of those in the village I began to wonder what it would be like if I had been in the random position of being born into a family here in Uganda. We passed dozens of corn plants, banana plantations as well as cows and goats just plonked on the road side and many staring faces of children who would shout “Mzungu!” (White person!) as we drove past. And here we were: Robert, Room 3, and Michael, Room 10, who had both met at a small village of our own somewhere deep in the Derwent countryside in County Durham two years ago, motorcycling through his own village some 3,500 miles away from our first meeting. It became difficult to tell whether the wind whipping my face was forcing tears out of my eyes, or whether the emotion of the whole day, the early morning, the terrifying bus journey, the once in a lifetime experience was manifesting itself. We continued down the narrow road until the figure of his mother and father appeared over the hill. The first thing I noticed was the beaming, perfect smile of his mam, who although she cannot speak English, welcomed me as if I was her own son arriving home after a long journey. I met another of his siblings, Maggie and was shown around their home. A lovely building set on some land somewhere I’m not really sure where we toured the place where we visited the piglets, saw the water pump, checked out the fire used to cook the food in the kitchen and even watched John and Maggie milk their cows. Am I really here? We finished the evening with a lovely meal of chicken, pork, matoke (a kind of banana) all home grown as well as the staple, rice. We even tuned into a snowy broadcast of East African X Factor where a Kenyan lady called Shirley was voted off – it felt like a normal Saturday night, just many miles away from home. We ended the evening looking at the stars which are so bright here, especially as there is no light pollution around at night. It really was a rollercoaster of a day – filled with nervous excitement, anguish and finally deep love. I have been warmly welcomed into the community and will never forget the 48 hours I have spent here. I am truly blessed to be able to share in the faith, love and hope of these kind people. Oh… there’s that whipping wind again! I will be in the village until Monday where we will stop overnight in Kampala before heading to Dar Es Salaam, Tanzania on Tuesday morning. Pictures to follow as soon as possible. “Uganda – the pearl of Africa. It’s called that because it’s a very unique country. The only country in Africa that has two rainy seasons!” Words of Henry, Robert’s fellow school teacher at Sacred Heart School, Kalungu. I’m currently sat in the staff room of said school taking in the sights of a Ugandan Catholic school. Not unlike St Thomas More, North Shields there is a chaplain’s office, a library, a chapel – they even have a tuck shop here! I have met all of the staff who work here, including sitting down in front of the Director of Studies who is also known as the “Dos”.. maybe things in Uganda aren’t so different to those in the UK at all. In fact, walking through Masaka town yesterday I noticed a lot of recognisable things. Walking through a park I could easily have been touring Robert through Holyrood Park, or sitting in a café could quite easily have been somewhere down in Whitley Bay. Even tuning into Uganda’s “favourite TV channel” NTV last night, we watched Uganda’s very own male version of Loose Women entitled simply “MEN.” It was something I wasn’t expecting to see! There are a lot of differences here though, of course. I took my first ride on a Boda Boda yesterday… an experience I wasn’t too keen on before I mounted the motorbike, but one I will remember when we arrived at Rob’s apartment. There seems to be more motorbikes on the road than there are cars, and we told the driver to take it slow, especially on the bumpy roads! The weather has also been different – although not as hot as some would expect. It has been quite breezy here, and it rained very heavily overnight. But it has still definitely been an improvement on the British weather I left behind. For those of you reading who don’t know me from home, I am staying with a very good friend of mine who I lived with in my area back in 2010. We lived in community and shared our lives with ten other amazing people for a year (others were from elsewhere in Africa and Asia). And so I have found myself here staying in Robert’s flat – something which never thought would happen. He lives in a small, but comfortable place with a living area, bedroom and an outside shower just outside Masaka Town. I have been warmly welcomed by every Ugandan I have met… and I have met a lot of people since I have been here. Robert is currently the Student President at Uganda Martyrs University, Nkozi and seems to know everybody in Masaka in some way. The student president role is different to one working at EUSA. Firstly, it’s a volunteer role and Rob has to fit in his duties and meetings in amongst his lectures (which all take place from 6pm-9pm during term time) as well as his job as a Chemistry teacher at the school I’m currently visiting. He is a busy man – currently signing off exam sheets for next week’s exams and assessments. He earlier showed me the GCSE Chemistry paper he has set, and I’m ashamed to say I couldn’t answer a single question! I keep feeling so blessed to be experiencing everything that Robert experiences. All thanks to YMT, I am here living like a true Ugandan local – I have eaten rice, local fish and this morning I tried (without much success) Ugandan coffee. Robert knows all the short cuts, and places to point out. I visited a shopping centre which had no power (stopping to chat to more students) as well as slipping up side streets. Robert most definitely is a fountain of knowledge of his local area. Friendship really knows no bounds – and I feel completely safe being here with Robert, Henry and meeting all of his friends. Deciding how to communicate with people back home was somewhat of a decision I had to think about. 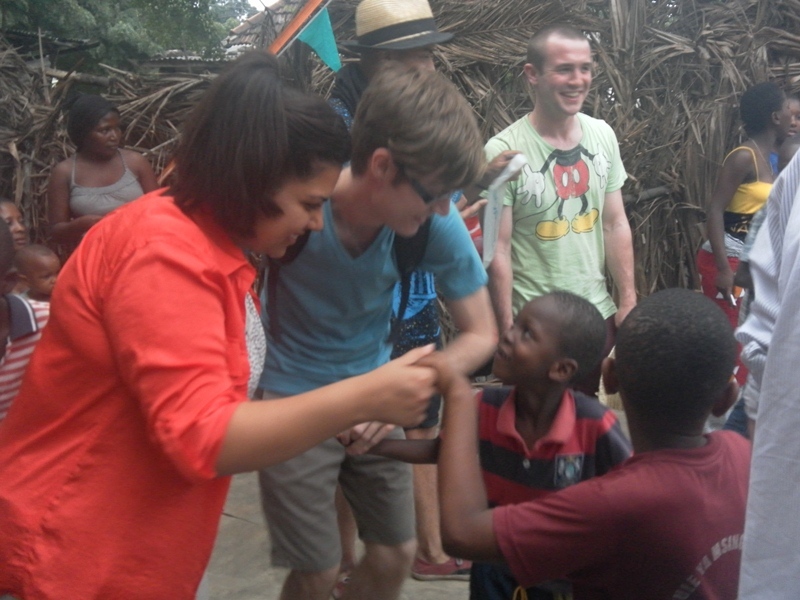 In the past I have had blogs posted onto the YMT website, as well as the blogs I have written for CAFOD. As I’m not officially blogging for my up-and-coming trip to East Africa, I decided to set up this page to let you all know what I’m up to. I have also copied previous blogs from my time in Liberia as well as my summer in Madrid in 2011. I hope to continue using this blog in the future for anywhere I may find myself in the world. 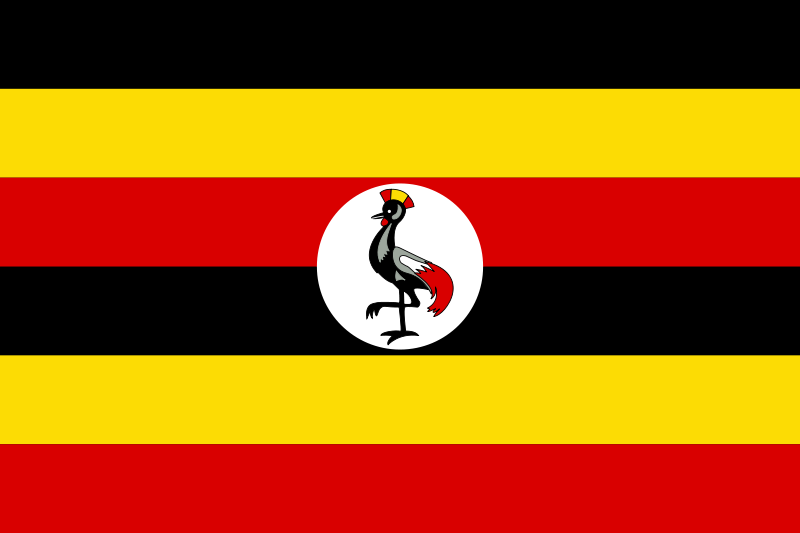 Tomorrow I travel to Uganda where I will spend a week staying with a good friend of mine who I lived with during my time spent with the Youth Ministry Team in 2010. Following that, I will then move onto Tanzania where I will spend six weeks working in the western region of Tabora with local young people helping them to establish their own libraries resourcing them with textbooks we have managed to collect from schools in Edinburgh over the course of the year leading up to this trip. In my life, I feel called to help those in the world who haven’t been provided with the amazing opportunites that I have been blessed with. 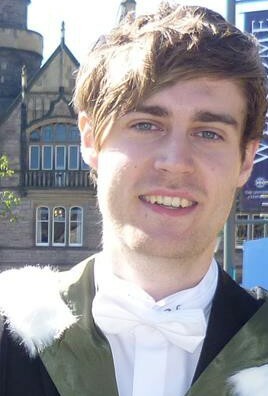 I study mathematics at one of the leading institutions in the world, and I have only been giving that opportunity because of the random country I was born in. So if I can look around me, see a maths textbook going to waste in a cupboard somewhere in Portobello or North Berwick, then through my involvement with READ International I can absolutely make sure that that book is being utilised to its full potential. It will end up in the hands of an aspiring maths student, whose only difference to me is that I come from a rich country, and he or she comes from a poor country. And so I want to continue to write blogs independently because I want to share my story with all of those who aren’t able to make the trip to Tanzania. Not everybody has the desire or opportunity to take part in these projects, so if I can capture a glimpse of some of the stories and testimonies of young people on the other side of the world, then I bring us a step closer to the realisation that although we may be thousands of miles apart from each other, we are still one community. Although I am unsure of quite when or how I will be able to access the internet whilst on my travels, I will endeavour to update as frequently as I can. I’ll see you in Uganda!